Throughout the course of the 19th All-American Council [AAC] of the Orthodox Church in America, held in Saint Louis, MO July 23-27, 2018, His Beatitude, Metropolitan Tikhon, met with representatives of the Local Orthodox Churches that had accepted his invitation to attend the proceedings. By way of background, Metropolitan Tikhon had issued invitations to the Primates of all Local Orthodox Churches to send representatives to the AAC. While some Churches were unable to send representatives, others—including the Patriarchates of Constantinople, Alexandria, Russia and Serbia and the Church of the Czech Lands and Slovakia—were able to do so. The Autonomous Orthodox Church of Finland also was represented. Metropolitan Tikhon met individually with those representatives who were in attendance. 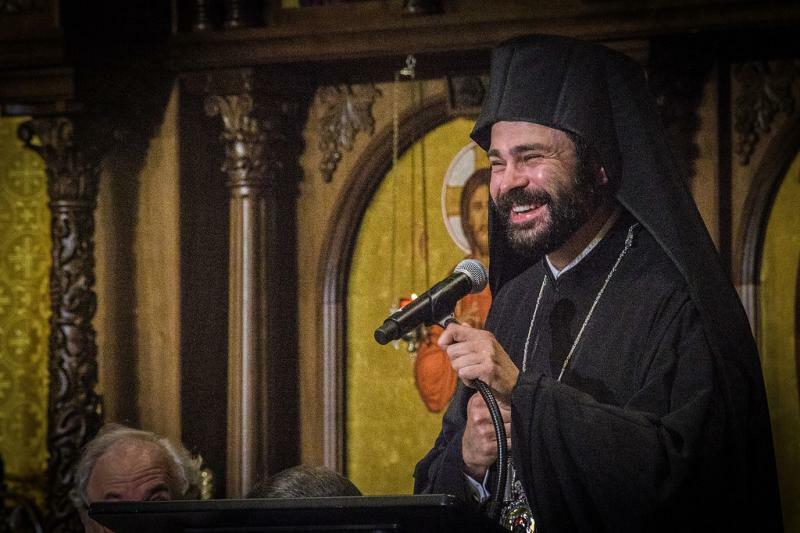 Representing the Ecumenical Patriarchate of Constantinople was His Eminence, Metropolitan Nathanael of the Greek Orthodox Metropolis of Chicago. During their meeting, Metropolitan Tikhon asked Metropolitan Nathanael to convey his gratitude to His All-Holiness, Ecumenical Patriarch Bartholomew, for accepting his invitation. 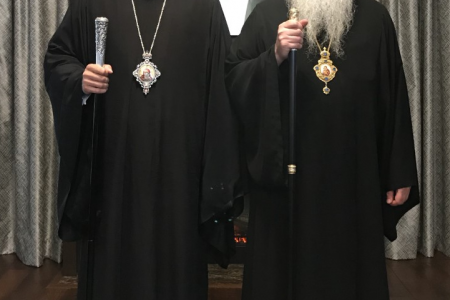 In their discussion, Metropolitan Tikhon shared with Metropolitan Nathanael the history and current work of the All-American Councils. In turn, Metropolitan Nathanael, who was recently elected to the Chicago Metropolis, conveyed the greetings of His All-Holiness and spoke of the ministry he is undertaking in the Chicago Metropolis, as well as the current work of the Secretariat of the Assembly of Canonical Orthodox Bishops of the United States of America. Prior to his election as Metropolitan of Chicago, Metropolitan Nathanael served as the Director of Inter-Church Relations for the Greek Orthodox Archdiocese of America. 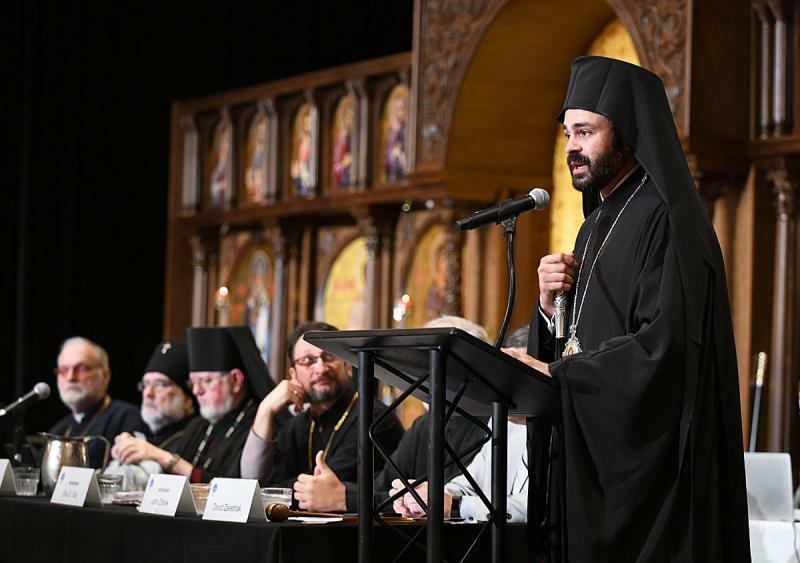 Metropolitan Nathanael also offered formal greetings on behalf of the Ecumenical Patriarchate at one of the AAC’s plenary sessions. 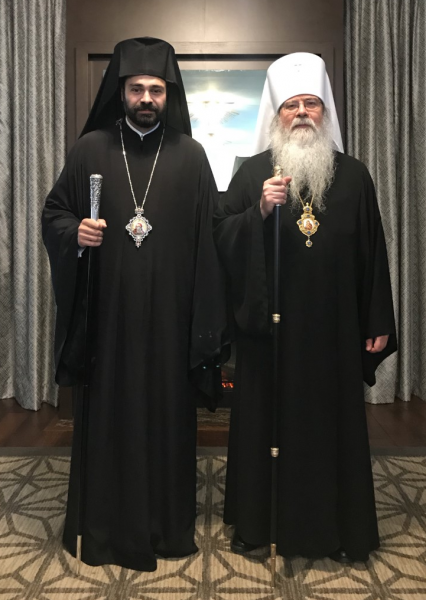 Also taking part in the meeting were His Grace Bishop Daniel of Santa Rosa, and Archdeacon Joseph Matusiak, Personal Secretary to the Metropolitan Tikhon.